Experience Long Island wine tours & vineyard tours with safe limousine and party bus transportation. Taste great Long Island wine from a variety of vineyards & wineries located in Long Island, NY with Long Island Brewery Tours. Not only are we the operators of LI Brewery Tours but we are also the owners of LI Vineyard Tours.® Created back in 2004′ and registered with the United States Patent & Trademark Office, LI Vineyard Tours® is the pioneer for offering these Long Island wine tour packages. With great wines comes great vineyards and Long Island is home to over 40 beautiful wineries. Wine Country is known to everyone now. Unlike it was 14 years ago the tasting fees didn’t exist. But now the fees are booming. 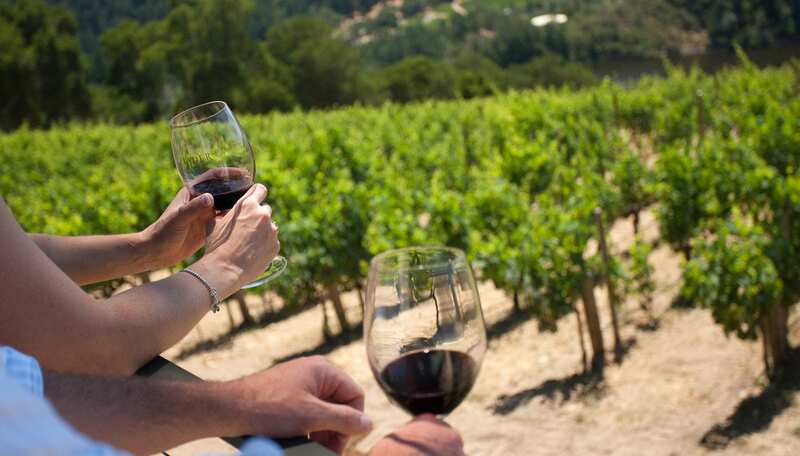 Wine tasting in Wine Country has gotten pricey but our Wine Tours havent. 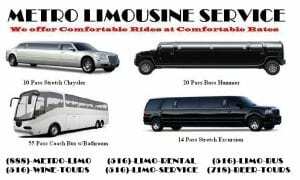 If your looking for the best private, group or corporate limo & limo bus outing event, call Long Island Brewery Tours today. As peaceful as watching the ocean tide hit the beach, there’s a reason you should leave the driving to us. The east end is the perfect climate and location for growing great wines and sampling both red & white wines. Tourists come to Wine Country not only for tasting wine, but to visit all the great shops and fresh produce being grown in the east end. The North Fork is simply the nicest place to visit year round. With great scenery and wonderful vineyards this vineyard tour is simply delightful. Some of the places we visit are Baiting Hollow Vineyards, Pugliese Vineyards & Osprey Dominion. Other wineries are Duck Walk, Pindar, Lents and Macari Vineyards. All of these vineyards accept limousines and party buses but you must make an appointment before showing up with a group of people. Don’t worry, well make the reservations for you and set up everything just like we do during wine season. For more information on our Beer Tour Packages, or to make Reservations, please call Long Island Brewery Tours today. Take a look at some of our Reviews while your here to. Call us at (718)-BEER-TOURS / (718)-233-7868.